SCYTHER vinyl decal from Pokemon Sticker for Just about Anything! 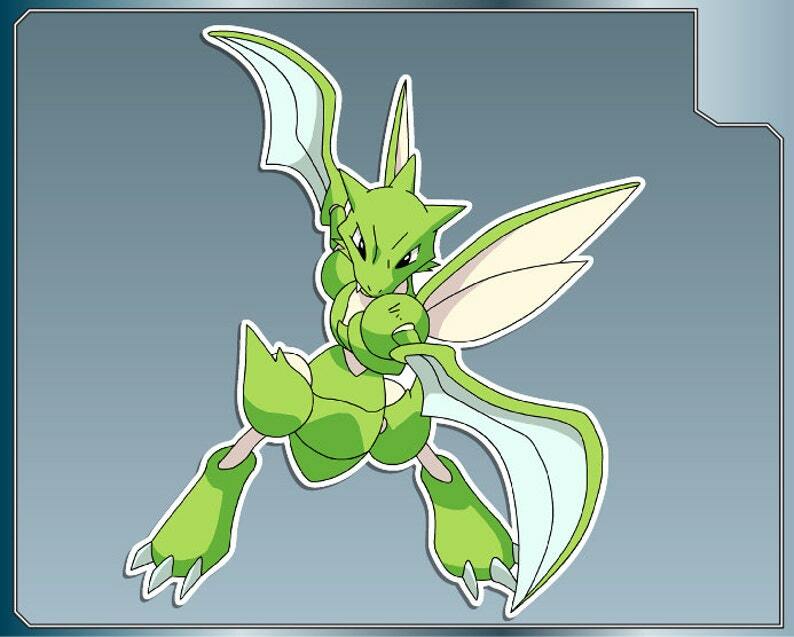 This is a SCYTHER from Pokemon vinyl decal sticker. SCYTHER Sprite No. 1 vinyl decal from Pokemon Sticker for Just about Anything! GLOOM vinyl decal from Pokemon Sticker for Just about Anything! CUBONE vinyl decal from Pokemon Sticker for Just about Anything! ABRA vinyl decal from Pokemon Sticker for Just about Anything! ALAKAZAM vinyl decal from Pokemon Sticker for Just about Anything! CHIMCHAR vinyl decal from Pokemon Sticker for Just about Anything! RAIKOU vinyl decal from Pokemon Sticker for Just about Anything! BELLSPROUT vinyl decal from Pokemon Sticker for Just about Anything! BEEDRILL vinyl decal from Pokemon Sticker for Just about Anything! EKANS vinyl decal from Pokemon Sticker for Just about Anything! ARCEUS vinyl decal from Pokemon Sticker for Just about Anything! RESHIRAM vinyl decal from Pokemon Sticker for Just about Anything!